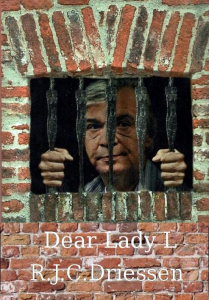 In his book Dear Lady L. Robert writes about his arrest for art forgery, his time behind bars as well as what has lead to his arrest. “Are you sure you want to go to Holland mate?” he asked. Somewhat surprised by the question I asked what he meant by that. “Okay, if you feel good about it then lets go” he replied. Suddenly a feeling of nervousness passed through my mind. My friend Jenna had previously checked if I was on any police wanted lists, and she had told me that as far as she could check I was safe to travel freely. My nervousness was making me not so sure any more. The E-Book can be ordered directly from the Author! Just click the paypal link below and follow the steps for paying with either credit card or paypal. The E-book will be e-mailed to the email address used for the payment.